For innovators, disruption presents both challenges and opportunities for success. Even now, in an age where technology is unlocking new avenues of transformational innovations, the fundamentals remain the same: Those who possess the right adaptive capabilities will be the ones to master change. Transformative innovation doesn't come in a constant stream. The growth of our civilization can be measured through seismic waves of innovation. 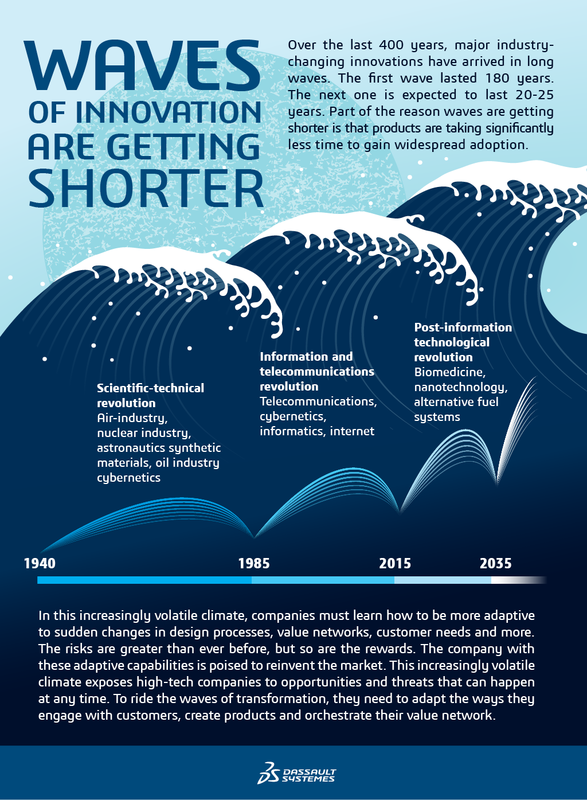 Adaptability requires rethinking established business practices, from concept ideation to delivery. This will enable High-Tech companies to create new, breakthrough customer experiences fueled by their transformation program. High-tech innovators realize that innovation doesn't happen in a vacuum; to deliver innovative experiences, quicker and more meaningful customer engagement will be key. The perfect synchronization from design to multidisciplinary engineering to manufacturing is critical and it comprises technical and business functions – a precondition to be right the first time, every time. High-tech innovators must leverage on the business ecosystem to drive true co-creation of value to more effectively synchronize value delivery and speed up product development. Adaptability isn’t just about the digitalization of established business practices. It's about questioning the status quo by completely rethinking the business journey, from ideation to delivery — and beyond. As new revenue streams, product categories and business models open up, innovators must ask themselves: Do they have the innovation methods in place to master these complexities and eliminate customer risk?